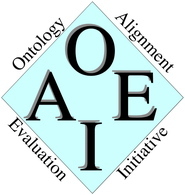 OAEI 2009 has 16 participants who participated in 53 tests as below (OAEI 2008 has had 13 participants who participated in 50 tests). Table: Participants and their submissions (•). Confidence stands for the type of result returned by a system: it is ticked when the confidence has been measured as a non boolean value. In addition the result from several tracks have been evaluated for structural preservation.